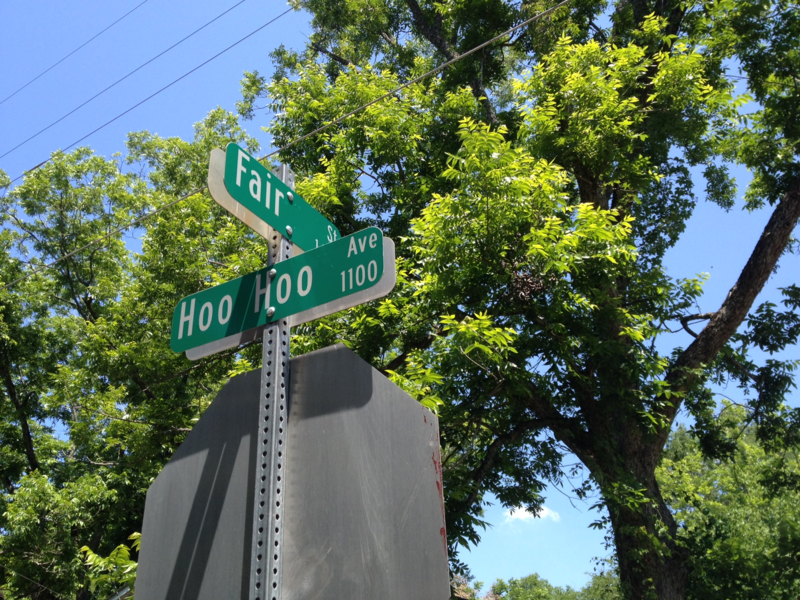 I found myself at the corner of Fair and Hoo Hoo, last week. I had been to the north side, before, the north side in Lufkin, Texas. It has a reputation that precedes it. I knew when I moved back to Texas, more than two years ago, that houses in this town could still be found for less than ten thousand dollars. It was hard to believe, coming from Santa Fe, New Mexico, where the median home price had been 409k. And here I was, just like in the picture. Looking up, you can see well established trees. This is an old neighborhood. If you close your eyes, you can hear birds singing. Birds in abundance. So, if you look up or keep your eyes closed, you might be able to feel the good of this place. But there is also bad. There is a good energy and a bad one. I found this place to be fascinating, old-fashioned, sad and disturbing all at the same time. I was here, today, for real estate. I was here to go into a property and take some pictures. I had been here once before. Had taken photos from the outside of several properties. This one I was returning to, today, was on a corner. The house, I knew, was in disrepair. I could see it from the street. What I was not prepared for was how it would feel as I walked into the yard, up on the porch across the string of dilapidated chairs, tried to open the screen door to knock on the front door, walked back across the porch and down the steps hoping to find another door across the yard. There was nothing there so I, once again, walked back up the stairs. across the string of dilapidated chairs. I tried the screen door, again, and found that if I lifted up it opened. I knocked on the door and I waited a while. Something was stirring inside of me. I did not know what to expect as I wondered if anyone would be answering this door. A woman opened the door. A woman who is very old. She is ninety-one. She is beautiful in a very aged way. She was polite. She was wearing a southern house coat and a very dark wig of wavy hair, not quite covering all of her grey hair but that only added to her character. She was nearly thin as could be. She was quiet, not feeling well. I was expecting someone rougher to answer the door. I was not scared of her. She talked with me for several minutes. I looked inside her home to see darkness, lack of light. The rooms were small, with low ceilings. It looked like corridors from room to room. I became very quiet inside. There is such a discrepancy of the ways in which people live. We are all responsible for ourselves, yet my optimism hopes we will all reach out to those who have less than us. And each of us, on this planet, knows of someone with less. There are those who are poor in spirit. There are those who struggle to pay their bills. My hope is that each one can reach to one or more with less. Let the abundance that we have become a part of what contributes to the wellness of another. Give time, give money, give both. Give wisely, give wastefully. In the end it’s likely it all comes back to you, anyway. This reminded me of stories I read as a child. This short tale could be a childrens book with illustrations. Another avenue for your artistic endeavors. So true Teresa! Creatively written as I too had the picture beautifully brought to life…along with the emotions felt! Great lesson for life in it as well!